It is thinner than 8.9 mm, only at the base reaching the value of 8.9mm because it has kind of hump. It will look very nice in your hand even if we talk about a smartphone with a display of 4.65 inches and 135.5 x 67.9 x 8.9 mm. It weighs 135 grams. It’s lighter than iPhone 4S that with a 3.5 inch display it weighs over 140 gr. The frame that surrounds the phone is made from metal and the battery case is made from a flexible ruberized plastic. It is better conventionalized than the one on Galaxy S II, but you will remain amazed at how fragile it looks. The battery case can be removed very easily giving you the posibility to access to the battery and the SIM card slot. This smartphone brings a 4.65 inch display with a resolution of 1280 x 720 pixels and 16 million colors.Loads of phones with a 4.7 inch display were launched such as HTC Radar Titan or HTC Sensation XL, but not with HD resolution. It is a premiere in this domain. It is very useful for browsing because it fits more content from a site, but sometimes you will need to zoom in to read the content from the sites that do not have a mobile-optimized version or if you want to consult the desktop version of the site. The technology behind it is SuperAMOLED. At its base the famous capacitive buttons no longer exists. They are now integrated in Android 4.0 Ice Cream Sandwich interface as Android 3.0. 3.1 or 3.2 HoneyComb. Their role is for Back, Home and preview of all open applications in a session. The sound comes from a tiny speaker located on the back of the phone.The sound offered is strong and clear . It sounds great. You will notice that no matter how you hold the smatphone (landscape or portrait mode), you will not be able to obturate the sound. The 3.5 mm jack is positioned at the bottom. 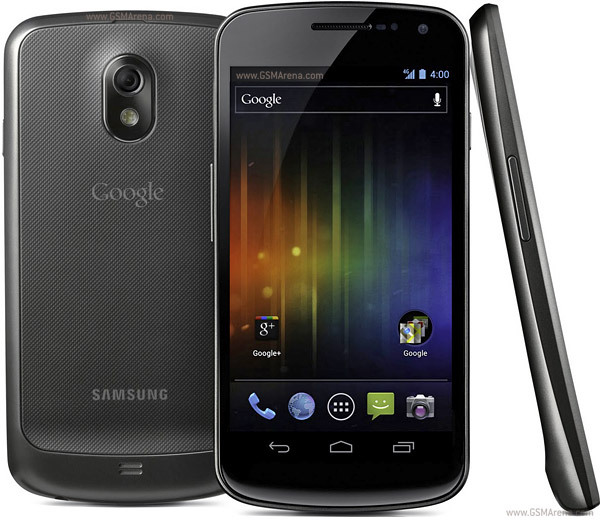 Here is another positive point for the Galaxy Nexus. Besides the fact that is the first smartphone with HD resolution, it comes with the last Android version named as Ice Cream Sandwich . Plus Google, Maps, Latitude, Locations, Market, Google Messenger Plus, navigation, news and weather, movie studio, Music, YouTube, Google Talk, Earth. There is no point to say that the synchronization with Google and related services which include Google Reader, Docs, Calendar works perfectly. It brings a 5 megapixel sensor generously sized. It has autofocus and a single LED flash which is bright enough.It records at 1080p with 30 fps, but this smartphone also knows how to make panoramic photos, saving you from installing an application from Android Market.